Grout is the unsolidified mix of cement, sand, and water to join tile pieces together leaving a small gap between each one with a waterproof seal. 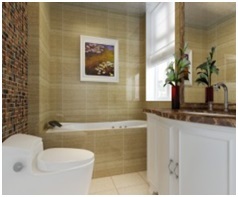 Tiles are easy to clean, but grout can require hard work with natural products or chemicals. How to clean grout due to it being porous (meaning it can absorb moisture and water) can be a challenge. Listed below are the best methods for cleaning grout easily. 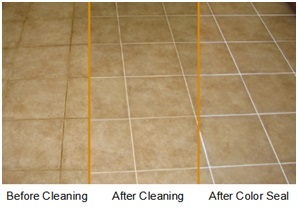 Grout tends to stain easily, is usually a light color showing all dirt, spills, and stains. The spills usually occur most on your kitchen floors followed by bathroom and laundry room floors, a mudroom or entrance that’s covered with tile. Most living room entrances have a square area of grouted tile at the door that will become grimy and hard to clean from the mud and dirt of foot traffic and pet paws. The tiles are usually attached to wall-to-wall carpeting or hardwood floors. If your carpet or floors also need to be cleaned to complement your beautifully cleaned tile and grout, think about using a carpet cleaning machine. Soap, shampoo, and hair conditioner scum can create bathroom tile mildew and grow mold especially in the shower or tub areas. Worry not; I have found many useful ways to clean the grout and if I do it about every two weeks, it’s easier to do. I have found it’s best to start off with mild cleaning products using natural solutions first. When I’ve used very strong solutions, I found the grout started flaking away and I certainly didn’t want the expense to re-grout any tiles. 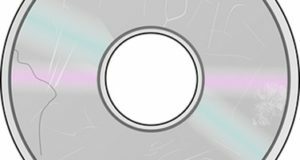 Start with an inconspicuous spot as a test such as under your cooking stove in the kitchen. I’ve listed the mildest to stronger ways to clean first. If your tiles are not super dirty, start by spraying warm or hot water using an old toothbrush. You can also find brushes specifically for grout at home centers. Spray the grout lines in a circular pattern, let it dry, and then go see how that looks now. Vinegar has been used for centuries and always comes to our rescue. It is the best for cleaning windows to a shiny squeaky shine. For knowing how to clean grout, try using it. 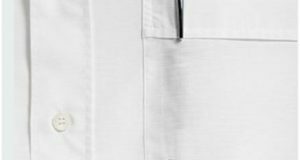 When you have more dirt and slight stains, use a spray bottle filled halfway with clear distilled vinegar and warm water. Spray on the grout, grab a cup of coffee, and let it sit for about 5-minutes. Now scrub the grout with hard brush bristles. Heinz® also makes its all-natural special strength cleaning vinegar and I like it. 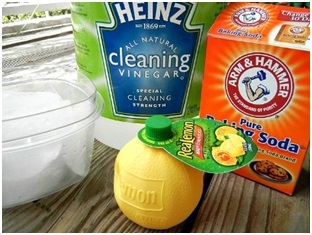 I sometimes add a little lemon juice to the rinse water for a fresh crisp smell. Cover the grout lines with a medium heavy paste (not liquid thin) using baking soda with warm water. After it’s on, use a spray bottle filled halfway with clear distilled vinegar and warm water. Vinegar mixed with baking soda will foam—a natural chemical process. After the foaming stops, scrub with a toothbrush or stiff bristled brush then rinse with clear water and add a few drops of lemon that has a slight bleaching effect of its own. Relatively reasonable stains and spills might necessitate using 3% hydrogen peroxide. I suggest you buy a new bottle because if it sits on a shelf for a long time it loses its strength. You want it to foam. Use it straight from the bottle or make a paste with baking soda. Peroxide is great for cleaning your teeth and gums to keep bacteria away as well. Use straight or with water. 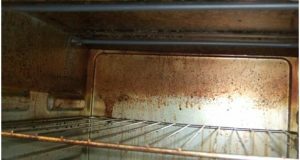 When you have resistant hard-to-clean stains or caked grubby grout, you’ll find the Clorox with bleach clean-up to almost work magic for you. When you use bleach, be sure you have ventilation such as an open window and fans. Read the label for how to use. Do not use full strength unless the label says it’s okay. Usually, you can let the bleach solution sit on your grout for 10- to 15-minutes before rinsing with clean water to prevent the dirt from moving back into the grout. Use chlorine bleach, commercial cleaners, and anything caustic in moderation on grout because it can eat away the grout. Just use carefully and slightly when necessary. Steam and spot cleaners will do all of your arm work for you and they are not very expensive. I use the handheld units and they are fast and easy for cleaning grout on bathroom walls and all tiled floors. Not only are they great for cleaning grout, they are an easy way to clean tile and all hard surfaces. Oreck® also makes a handheld steam-it steam mop with full height floor and tile cleaner. After each shower, I like to spray on Scrub Free® with Oxi made by the Arm & Hammer™ the baking soda people and let it flow down the tile in my shower. The tile and grout never get dirty using this. If you have a drill, this is the most creative idea I have ever seen for cleaning grout! Watch the video! Best Way to Clean Grout ever! by Home Repair Tutor video. How to clean grout is simply wiping down your tile and grout each week with alcohol will keep mildew and mold down. You can always spray the vinegar and water solution as well weekly. Add a color seal to your floor tiles for beauty. Don’t work too hard and take breaks using adequate room ventilation. Never mix bleach with ammonia ever! It is toxic and can cause severe damage to your lungs. Please leave your questions or comments below and I will reply to you. Jim Moore’s sister, Jean.